Isn't it absolutely unbelievable that the Supreme God of the universe would love us so generously! Yet he has shown his love for us in the past through Jesus. He will dramatically show his love for us again when Jesus returns — not to give his life for us, but to share his life with us! 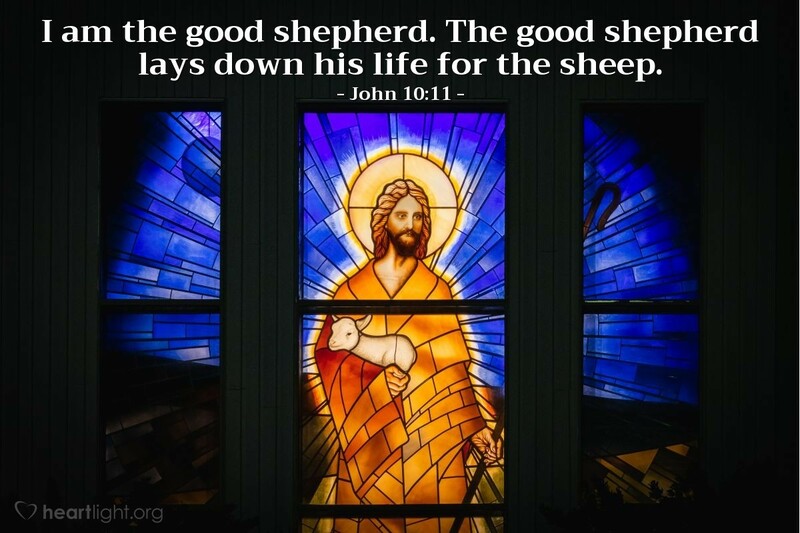 Come, sweet Shepherd, come! Dear Heavenly Father, thank you for revealing yourself to Israel as the Great Shepherd. Thank you for sending Jesus to be the Good Shepherd who sacrificed his life for me. Now please accept the commitment of my heart and the actions of my life to be a sacrifice of thanks and praise to you for all that you have done. In Jesus' name. Amen.